The Gateway Go youth pilot program is coming to a close on October 31, 2018. The promotional pilot began in June as an initiative to provide discounted transit fares to people between the ages of 13 and 25. Metro is proud to have been able to provide these discounts while observing the positive impact that the program has had on our community. The Gateway Go Card was developed in partnership with the City of St. Louis, St. Clair County, the St. Clair County Transit District, St. Louis County, St. Louis Economic Development Partnership, Metro Transit and Bi-State Development. Bringing together community partners, businesses, public agencies and concerned individuals, this partnership has already proven that increased access to transportation is creating stronger and healthier communities throughout our region. What do I do with my Gateway Go Card? Gateway Go Cards are no longer available for purchase. October Monthly Passes loaded to cards will be accepted to ride through the end of the transit day on October 31, 2018. 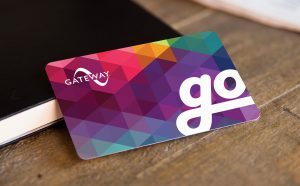 Customers who have Gateway Go Cards with a cash value balance remaining on them may continue to use their cards to ride Metro until their cash value is depleted, but no later than November 15, 2018. All cards will be disabled after November 15th and Gateway Go Cards will no longer be a valid fare media for Metro Transit. Refunds will not be provided for any non-redeemed cash value that remains after November 15th. What are my options for Metro passes now? Young people who currently have Gateway Go Cards are encouraged to visit MetroStore at 8th & Pine to transition to either a Full Fare Gateway Card or a Student Semester Pass (must have valid student ID). Outstanding Go Card balances are not eligible to be transferred to another Gateway Card.